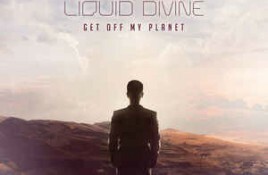 Genre/Influences: Electro-pop, ambient-pop electro. Background/Info: What happened to Guido Stoye and Christian Fritzsche who seemed to have disappeared from our radar for a couple of. 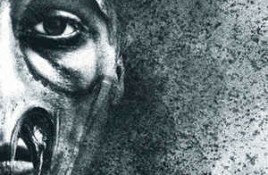 Extize has released their fifth album “Redneck Industrial” on Dark Tunes Music Group. The new work took me by surprise like never before. Extize clearly. Genre/Influences: Electro-pop. 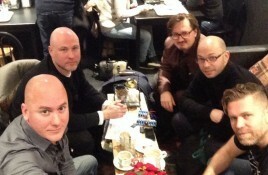 Background/Info: Singer Huw Jones and composers Alfred Gregl and Torben Schmidt (Infacted Recordings owner) are back on track. The trio already released two. The 13th track on our free download compilation “Face The Beat: Session 4” (featuring 92 tracks) is by Circuito Cerrado, the hard power noise project. Genre/Influences: Dark-electro. 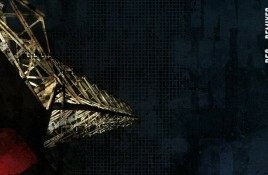 Background/Info: Advoxya Records has a nose for dark-electronic talents. 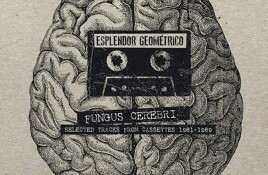 They’ve signed the Polish formation Reactor7x, which was set up a few years ago..
Fungus Cerebri (Selected Tracks From Cassettes 1981-1989) is a double LP in deluxe gatefold sleeve which includes a selection of tracks by Esplendor Geométrico originally. Genre/Influences: Body-pop, dark future-pop. Background/Info: Swedish artist Fredrik Croona took me by surprise on his debut album “The Grey Line” released in 2015. When you. Genre/Influences: Dark-electro. 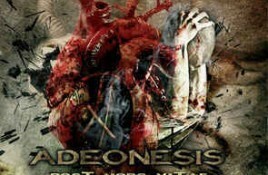 Background/Info: Adeonesis is Wilger Rodrigo Humerez Rios and his brother Ferry Humerez Rios. I discovered this Colombian formation now 4 years ago when. Audra has joined up with Heaven Pegasus to produce the track “Spider” which is going to be a bonus free download for all backers of. Genre/Influences: Dark-ambient, industrial, experimental. 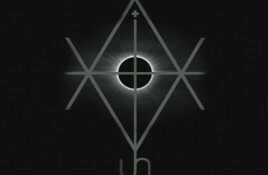 Background/Info: Based in Milan, This Grey Hates The Sun was set up a few years ago by Giordano Rivolta. After a. The 12th track on our free download compilation “Face The Beat: Session 4” (featuring 92 tracks) is by Chrysanth aka Andrew Brennan. “Hearts of Titans”. Genre/Influences: IDM, dubstep, experimental, electro-ambient. 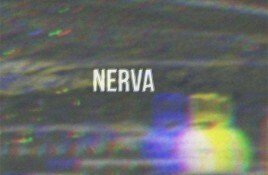 Background/Info: Nerva is the meeting between Andrea Bellucci (Red Sector A, Subterranean Source, Dioxide ao) and Andrea Gastaldello (Mingle). The. 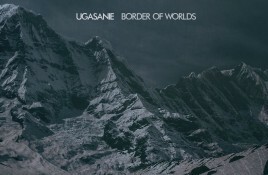 Ugasanie is back with a new album, “Border of Worlds”, focused on the people of the Tundra and the North. 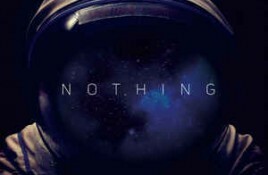 Written, performed and produced by. 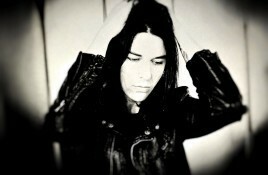 Who is behind the brand new dark wave project ImJudas? Here’s your answer… and interview! Whilst checking out the recent free Alfa Matrix download compilation “Matrix Downloaded 006“, one new name popped up: ImJudas with “People Of The Blame (Alfa. It took five years to Richard Oddie and Christina Sealey to unleash a new full length album of their ORPHX sound project. They however remained pretty. The 10th track on our free download compilation “Face The Beat: Session 4” (featuring 92 tracks) is by Chamaeleon. It’s the second time that this. Genre/Influences: IDM, industrial-ambient. 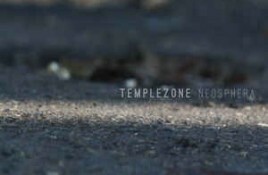 Background/Info: Templezone is an Italian solo-project set up a few years ago by Giorgio Ricci who was originally active during the 90s. Morrissey cancels gigs, so why not check out Mexrrissey instead? Never heard of Mexrrissey? Well, today you will. 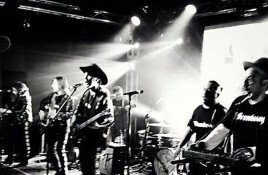 This Mexican band brings Spanish-language re-workings of Morrissey songs and they have now announced a new single,.